Join studio master Eli Krantzberg as he takes you through FabFilter Pro-Q 2 & 3, some of the most highly regarded equalizer plug-ins available. 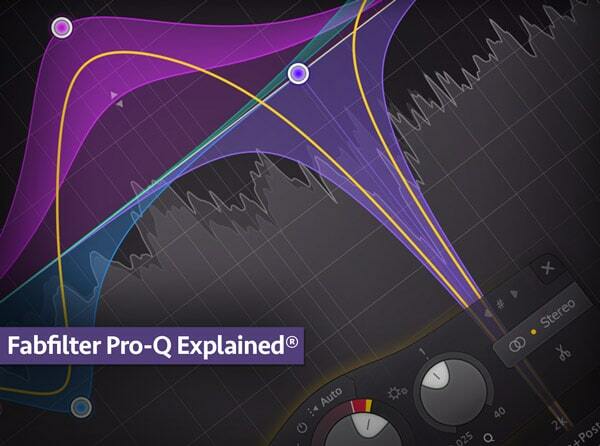 In this in-depth video tutorial series, you’ll learn everything you need to know about how to navigate and utilize this creative EQ in sound design, mixing, and even mastering. Next, Eli covers all the preset and display options in detail, and then wraps it all up with videos on the new Q 3 version and all of its new features and Functions. See the individual tutorial descriptions for more info. Whether you’re new to the FabFilter Pro-Q or an experienced user looking for some new ways to use it, watch “FabFilter Pro-Q Explained” today!